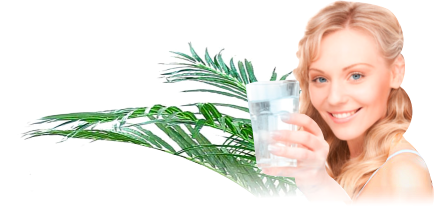 We all know we need to drink at least eight glasses of water a day, but what if you want to make the spring water supplied to your local Brisbane office or your home taste more interesting? Spring water, in itself, has a clean, refreshing taste. However, there are many ways to make it more interesting. And if it helps you to get your recommended daily dose of water, that’s even better. Add lemon for a citrusy taste. Lemon—or citrus fruits in general, like oranges and limes—is a great way to make your taste buds warm up to drinking water. What’s more, lemon is an excellent way to keep your weight down: Warm water with a slice of lemon drank early in the morning makes it easy for your digestive system to get rid of all the bad toxins in your tummy. It also helps cure the common cold! Get the refreshing zing of summer with cucumber and mint. Not a big fan of lemon? Steep some fresh mint leaves or drop a few slices of cucumber into your water jug. Aside from improving the taste of water, mint can help minimize the smell of food in your breath. On the other hand, cucumber enhances your spring water’s nutritional benefits with some vitamins A, C, and K, iron, calcium and potassium. In fact, according to this article, the longer the cucumber soaks in your water, the more nutrients you get. Who says you can’t have your water and your vitamins at the same time? Cool it with ice. If you think the taste of spring water from your local Brisbane supplier can be made more interesting, go for ice water instead. Some people find ice water tastes better than filtered water at room temperature. Freeze all the spring water you want to drink—feel free to throw in a few mint leaves or some lemon for a burst of flavor—and enjoy it while melting. Perfect on a sweltering summer day, if you ask us. Sprinkle some low-calorie sweetener in it. Some people say that a low-cal sweetener can help liven up a glass of spring water. Just make sure your sweetener is indeed low calorie. Take it with tea. Tea comes in all forms—black, green, white, red, and fruit—and is a great substitute for coffee because it has less caffeine or none at all. Green tea, especially, aids in digestion, while chamomile helps you calm down at the end of the day. If your local Brisbane supplier has a hot water dispenser for your use, making tea is so easy. Explore the different kinds of teas to find what suits you best and what makes your glass of spring water more exciting. 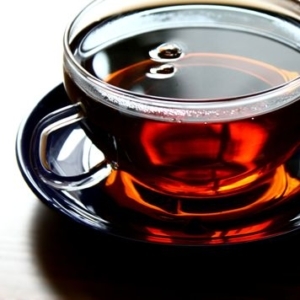 Be cautious, however, in taking too much black and green tea, which can be hydrating. If you like to take a lot of tea, go for the herbal kind. If you want to have access to clean water every day, why not give Pacific Springs a call? Our staff can set up your Brisbane home or office with spring water coolers, filtered water systems, and fridge water filters that produce fresh, clean spring water. This entry was posted in Spring Water Delivery, Water Health and Safety (OH&S) and tagged spring water, water, water benefits, water delivery, water taste by Teala. Bookmark the permalink.